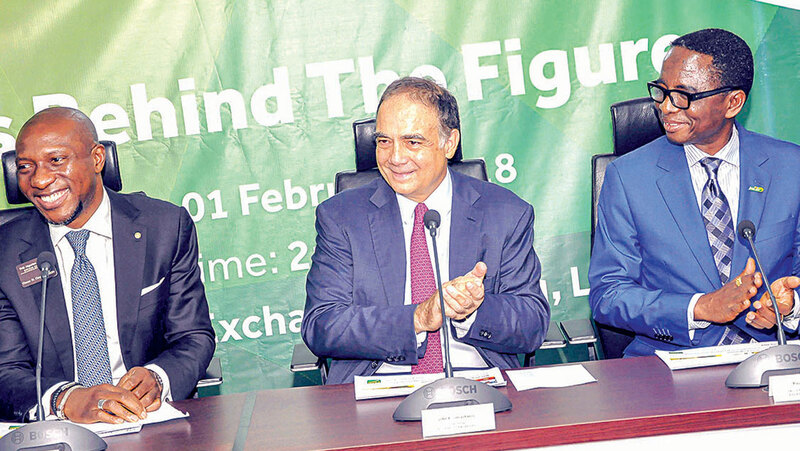 Chief Executive Officer, The Nigerian Stock Exchange, Oscar N. Onyema (left); Chairman, Board of Directors, Flour Mills of Nigeria Plc, John Coumantaros and Group Managing Director, Paul Gbededo at the FMN Facts Behind The Figures at The Nigerian Stock Exchange in Lagos at the weekend. Flour Mills Nigeria Plc has posted revenue of N427.5 billion and Profit After Tax of N13.27 billion for the nine months period ended December 2017. 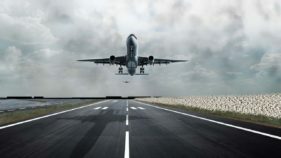 Specifically, the company’s nine months performance showed group’s revenue of N427.5 billion, up from N389.9 billion in 2016, representing a 10 per cent year-on-year increase. The firm also reported a profit after tax of N13.27 billion for the nine months ended December 2017, compared to N7.39 billion in 2016, representing a year-on-year increase of 80 per cent. 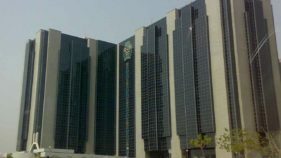 The group in a financial statement made available to the Nigerian Stock Exchange also recorded profit before tax of N19.50 billion, in contrast to N10.3 billion in 2016, accounting for a year-on-year growth of 89 per cent. The company’s earnings per share stood at 456 kobo, up from 250 kobo, in 2016, showing an increase of 82 per cent year-on-year growth. According to the group’s management, the food business was responsible for an increase of N44.7 billion of the Group’s turnover, coming from its flour, pasta and noodles products’ portfolio. It noted that the packaging business of the group contributed N1 billion to the group’s profit, an increase of 150 per cent. The management noted that with a view to significantly improve on working capital, while reducing debts, the company recently proceeded with its rights issue programme, adding that it is expected that the programme will strategically position the company for sustainable growth. The Group Managing Director of the company, Paul Gbededo, stated: “We are delighted to report another quarter of solid performance, despite harsh operational environments, which have been compounded further by traffic congestions in Apapa. “Our food business has continued to show impressive results, in line with our strategy to lead the market in all major categories. We shall continue to drive efficiency and grow our footprints in the Agro-allied segments also in achieving our core focus of feeding the nation, everyday”. The Chief Finance Officer (CFO), Jacques Vauthier, in his comment, said that the management of the company was confident that this sector will record even stronger performance as the year progresses. “To this end, we are enhancing our marketing activities to push the brand’s presence into newer outlets while strengthening present market share,” he added. Flour Mills posted 44.89 per cent in profit after tax for the half year ended September 30, 2017. The group in a filing with the Nigerian Stock Exchange (NSE) said its profit after tax stood at N9.36 billion, compared to N6.46 billion for the same period in 2016. Profit before tax was N13.48 billion as against N8.80 billion for the same period in 2016. 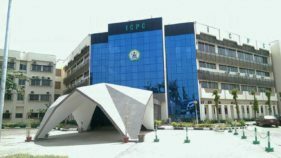 Revenue was N298.44 billion for the six months ended 30th September 2017, an increase of 17 per cent when compared with N255.30 billion of the same period last year. Gbededo added: “Our half year results show continued growth through most segments of our businesses, especially in the food business, delivering strong top and bottom line financials in line with our objectives. “The Group recorded growth from volume and product mix. This growth was despite what continued to be a challenging business environment. “Overall, the business shows an impressive performance in the first half of the year. We are positive that we are on track to meet our growth targets for the remaining part of 2017/18 financial year. The food business value chain was responsible for an increase of N40 billion of the Group’s turnover.